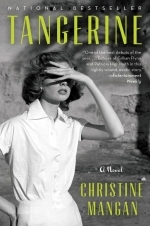 Join Dover Public Library's brand new book club as we discuss Tangerine by Christine Mangan. Enjoy a specialty cocktail and discounted food courtesy of Sonny's Tavern. Copies of the book available using Hoopla Digital. For more information, call the library at (603) 516-6050 or e-mail Emily Fortin at e.fortin@dover.nh.gov.